Something that we are seeing far too often in South Africa. 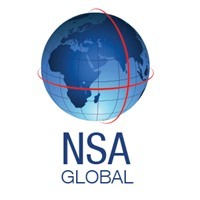 Headed up by Rory Steyn, NSA Global Security Consultants Africa is the leading security service provider on the African continent, offering our full range of bespoke, value-added security services. For nearly 20 years, we have provided security support to many multi-national corporations, aid organisations, governments and high-profile people that require reliable security support in Africa, whether for large-scale expansion into the market or for occasional visits. The nerve-centre of our Africa operation is based in Johannesburg and managed by highly skilled, former field-operatives who not only understand our clients’ particular requirements but can offer practical knowledge and skilled and experienced guidance and recommendations to our clients. As one of the leading specialised providers on the continent, we have established a wide range of contacts, leading to the development of strategic representative offices in many African countries, with established working relationships in others. This powerful network allows us to provide a consistent level of service by combining the experience and expertise of our permanent staff with the local knowledge and resources of our strategic partners.